This coffee will be fresh roasted for you. We expect Brandywine Coffee Roasters will roast and ship this coffee in 1-2 business days depending on their roasting schedule. This is the Guatemala Antigua El Pilar brought to you by Brandywine Coffee Roasters. This fully washed coffee was sourced from the growing region of Antigua in Guatemala and was produced by Juan Carlos Chen between 1,600 - 1,900 meters. 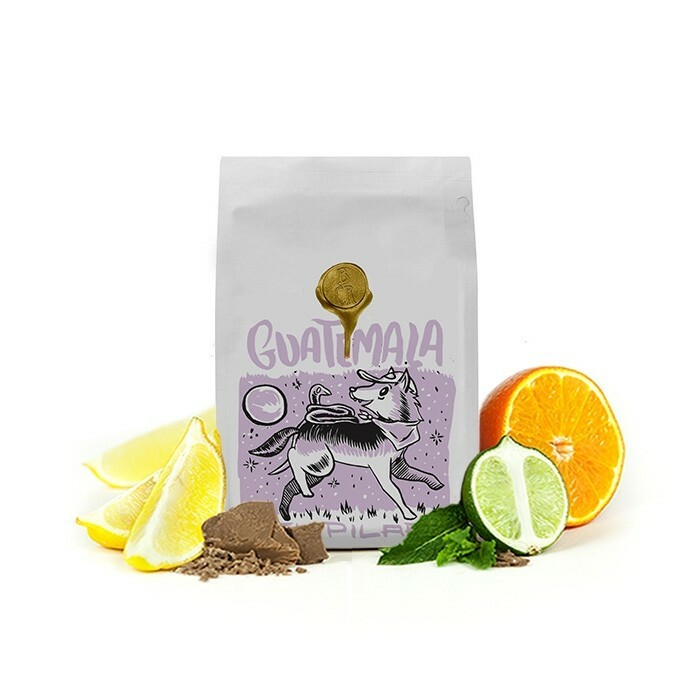 In the cup, we taste notes of candy-bar sweetness like milk chocolate, caramel, and peanut butter with a citrus acidity of mandarin orange. The label’s tasting notes refer to “red velvet,” If that’s the case, i couldn’t tell, because it was overwhelmed by the raw sugar cane taste that I’d prefer not adulterate my coffee. Otherwise, the coffee fills the cup, not much else. Sorry. PS. Extended efforts to extract flavor from these beans have proved fruitless, so to speak. If the coffee had been delivered ground, would have strongly suspected filler. Very disappointing.